Glaucoma is often called the “silent thief of sight”. It is called this because the degenerative eye disease slowly steals your vision and can lead to blindness. In the beginning stages, glaucoma symptoms are very hard to recognize. Most that get glaucoma have no idea they actually have this damaging disease. Loss of vision normally occurs gradually. If left untreated, glaucoma permanently damages the optic nerve, leading to blindness. If it is detected early enough the progress of the disease can be halted with medical and surgical treatment options. 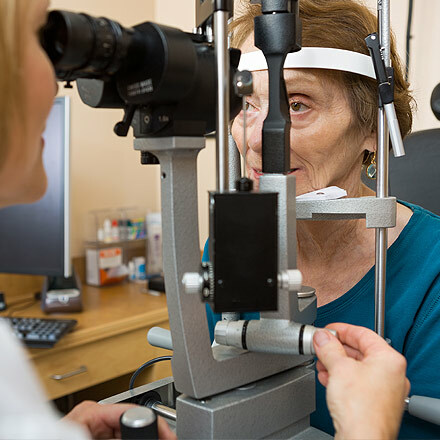 The doctors at Premier Eye Clinic located in Port Orange and Ormond Beach offer annual eye examinations for those over the age of 40 to monitor eye diseases such as glaucoma so proper treatment can be delivered and vision loss can be avoided. The cause of glaucoma is unknown, but there are several risk factors that increase your risk of developing glaucoma. 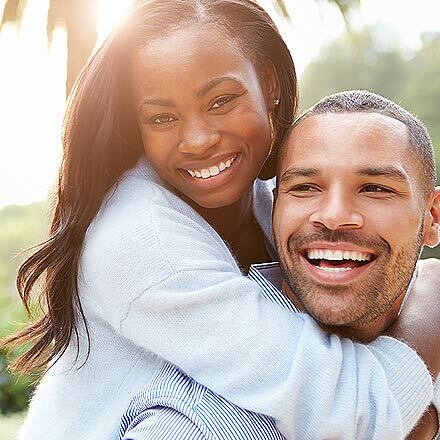 These include high eye pressure (called intraocular pressure, or IOP), older age, being African-American or Hispanic, and having a family history of glaucoma. Anyone with any of these risk factors should have regular eye exams. 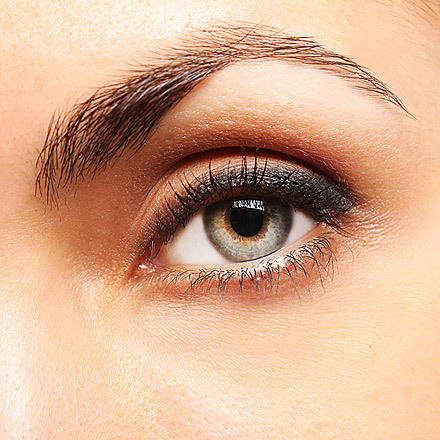 Glaucoma damages vision by destroying the optic nerve, which connects your eye to your brain, and carries visual information to your brain for processing. When the optic nerve is damaged from glaucoma, you lose your vision. Your peripheral vision—or side vision—is lost first. If the glaucoma remains untreated, the vision loss creeps in toward the center, first causing tunnel vision, and then, eventually, blindness. The cause of optic nerve damage in glaucoma is not known, but since most eyes with glaucoma have high IOP, it is likely that high IOP plays a role in damaging the nerve. IOP is a measure of the fluid pressure inside the eye. The eye is filled with clear fluid that flows in through a spigot and flows out through a drain. 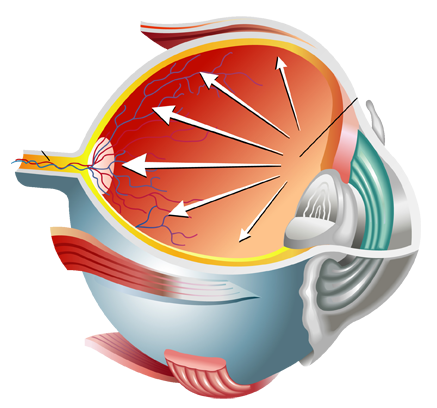 In glaucoma, the drain of the eye gets plugged, and fluid coming into the eye cannot get out, raising the IOP. An extensive examination for glaucoma should include the measurement of IOP. However, since some eyes can have glaucoma without high IOP, a careful examination of the optic nerve is also very important. If the IOP is high or the optic nerve looks damaged (or both), a special test called a visual field test should be performed. The visual field test shows whether or not you’ve lost any side vision to glaucoma. 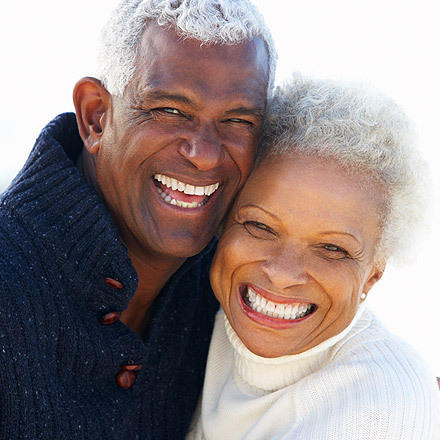 If you are diagnosed with glaucoma, treatment is available to save your vision. The goal of glaucoma treatment is to lower IOP and stop the optic nerve damage. Several treatments are available to lower IOP. These include eye drops, laser therapy, and surgery. Premiere Eye Clinic provides both diagnostic and treatment options for glaucoma. If you live in the the Daytona Beach vicinity and are seeking a second opinion regarding your specific case of glaucoma, we are happy to arrange a time to evaluate you. Treatment options for glaucoma are continuing to change. Please feel free to read about some of the treatment options that we provide in our office below. Glaucoma Eye Drops: Prescription eye drops for glaucoma help maintain the pressure in your eye at a healthy level and are an important part of the treatment routine for many people. Be sure your doctor knows about any other drugs you may be taking (including over-the-counter items like vitamins, aspirin, and herbal supplements) and any allergies you may have. As with any medications, these eye drops have side effects which can be tolerated by most patients, but can be contraindicated for some due to general health of the patient. 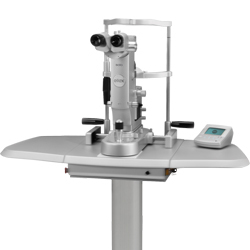 Selective Laser Trabeculoplasty: Another way to lower eye pressure is with laser therapy. A common laser treatment for glaucoma is called selective laser trabeculoplasty, or SLT. Selective Laser Trabeculoplasty (SLT) is becoming a widely accepted glaucoma treatment option. SLT definitely offers a new glimpse of hope for glaucoma patients. By using this NEW laser technology, ophthalmologists can now lower pressure, thus possibly avoiding more invasive surgery. SLT might even reduce the dependence on medications or drops. The surgical process typically involves numbing the eye with topical eye drops so that you will not feel the laser treatment. In SLT, laser treatment is applied to the drain of your eye in order to open it up and let fluid exit the eye more efficiently. SLT treatment takes only a few minutes, is performed in the office (not the operating room), is safe, and effectively lowers eye pressure in most people. The treatment is approved by the Food and Drug Administration (FDA) for treating glaucoma and is covered by essentially all insurance plans. After the procedure, anti-inflammatory drops are used.